Then, in the time of Columbus, the new Aliʻi-ai-moku were: Māʻilikūkahi on Oʻahu, Piʻilani on Maui, ʻUmi-a-Līloa on Hawaiʻi and Kukona on Kauaʻi. Māʻilikūkahi is honored as the first great king of O‘ahu and legends tell of his wise, firm, judicious government. He was born ali‘i kapu at the birthing stones of Kūkaniloko; Kūkaniloko was one of two places in Hawai‘i specifically designated for the birth of high ranking children, the other site was Holoholokū at Wailua on Kauaʻi. Soon after becoming aliʻi, Māʻilikūkahi moved to Waikīkī. He was probably one of the first chiefs to live there. Up until this time Oʻahu chiefs had typically lived at Waialua and ‘Ewa. From that point on, with few exceptions, Waikīkī remained the Royal Center of Oʻahu aliʻi, until Kamehameha I moved the seat to Honolulu. 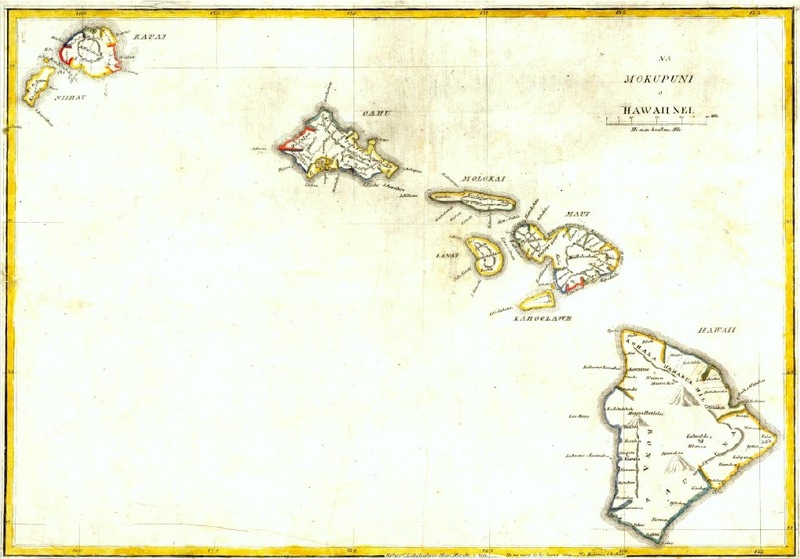 Māʻilikūkahi is noted for clearly marking and reorganizing land division palena (boundaries) on O‘ahu. Defined palena brought greater productivity to the lands; lessened conflict and was a means of settling disputes of future aliʻi who would be in control of the bounded lands; protected the commoners from the chiefs; and brought (for the most part) peace and prosperity. Piʻilanihale Heiau in Hāna, Maui is Hawaiʻi’s largest heiau that is still intact. Standing over 40-feet high, the stone platform is 289-feet by 565.5-feet; Piʻilanihale Heiau is a stepped lava rock platform the size of nearly two football fields. ʻUmi-a-Līloa (ʻUmi) from Waipiʻo, son of Līloa, defeated Kona chief Ehunuikaimalino and united the island of Hawai‘i. He then moved his Royal Center from Waipi‘o to Kona. Kukona (7th aliʻi ʻaimoku of Kauaʻi,) whose name in Hawaiʻi became a symbol of the very highest ideals of chivalry in battle, was born in Kōloa and fought his defining battle at Poʻipū. He was born and led during the 1400s. During the 15th century, an ambitious chief of Hawaiʻi who had already conquered three other islands, tried to seize Kauaʻi. He was accompanied into battle by the combined armies and chiefs of Maui, Molokaʻi and Oʻahu. The war is known as the War of Ka‐welewele. The much smaller forces defending Kauaʻi, led by Kukona and his son Manokalanipo, soundly defeated the invaders after leading them inland and then surrounding them at the shore. Kukona captured all four chiefs of Hawaiʻi, Oʻahu, Maui and Molokaʻi. He had the opportunity to kill them all and assume leadership over the islands. However, he preferred peace and allowed them to return safely home with a promise that they never again make war on Kauaʻi. Peace lasted until Kamehameha I made his conquest attempts at the turn of the nineteenth century. In an effort to avoid bloodshed, in 1810, Kauaʻi King Kaumualiʻi negotiated a peaceful settlement of his unconquered kingdom to King Kamehameha I of Hawaiʻi. Today, people of Kauaʻi proudly proclaim that their island was never conquered over the centuries, even when larger armies attempted to do so. Few of this world’s monarchs can boast of so deep a concern for the welfare of their people as those demonstrated on Kauaʻi. Several monumental actions were taking place in Hawaiʻi with a new form of land description, major infrastructure, an adaptive form of agriculture, and peaceful, chivalrous governance. 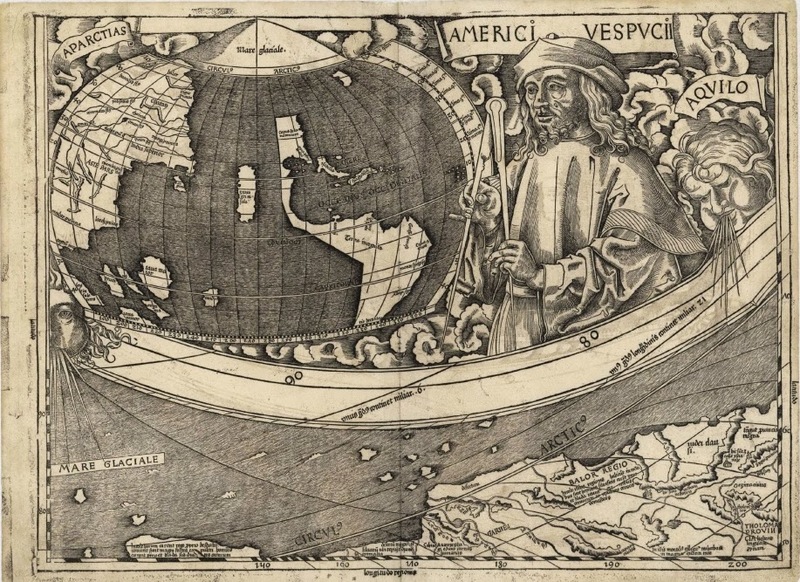 At about the same time, Europeans made their ‘discovery’ of the American continents.